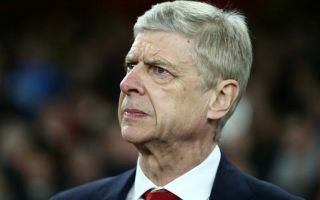 Arsenal have four managers in mind to replace Arsene Wenger this summer even if the French tactician can guide the Gunners to glory in the Europa League. Wenger has been under pressure at Arsenal for some time now, with fans notably protesting at games last season against him being given a new contract. Ultimately, the FA Cup final win over Chelsea seemed to save Wenger his job at the Emirates Stadium, but this campaign has been even worse as the club look set to miss out on the top four again. MORE: Arsenal next manager odds: Who could replace Arsene Wenger? The Europa League is now the only trophy they can win and is their best chance of qualifying for the Champions League as well, though it still might not be enough to save Wenger his job, according to the Daily Mirror‘s John Cross. Cross, who has close connections at Arsenal, believes the club have four men in mind to come in for Wenger next season: Joachim Low, Leonardo Jardim, Brendan Rodgers and Mikel Arteta. Arsenal fans would likely take any of those at this point as they have long been crying out for change at the top after a lack of real success for much of the last decade. Wenger has not won the Premier League title since all the way back in 2003/04 and has just four FA Cup final victories to his name to show for his efforts since then. Low has impressed with the German national team and seems a good fit, as does Jardim after his success with Monaco. Rodgers and Arteta look a little more risky given their relative inexperience at the highest level, but few would argue with those choices if it finally meant the end for Wenger at Arsenal.